Gods Save the King: Rescue the king from his nightmares. Lifeline: Search the Frostwater Tundra for the components for the Ternion's ritual. Of Councils and Kings: Report to Jorunn's Stand. 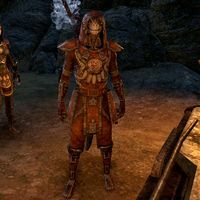 Our Poor Town: Help save an Argonian who was injured in a troll attack. "If you ever need assistance, you need only to ask. I owe you the largest of favors. As do my people." This page was last modified on 17 June 2018, at 19:13.